In a world where we are becoming increasingly more fearful for our safety, it is hard to apply Jesus’ concept of welcoming the stranger and leaving the doors to our hearts, and sometimes our homes, open. And there are times, I find myself reluctant to talk to a stranger. 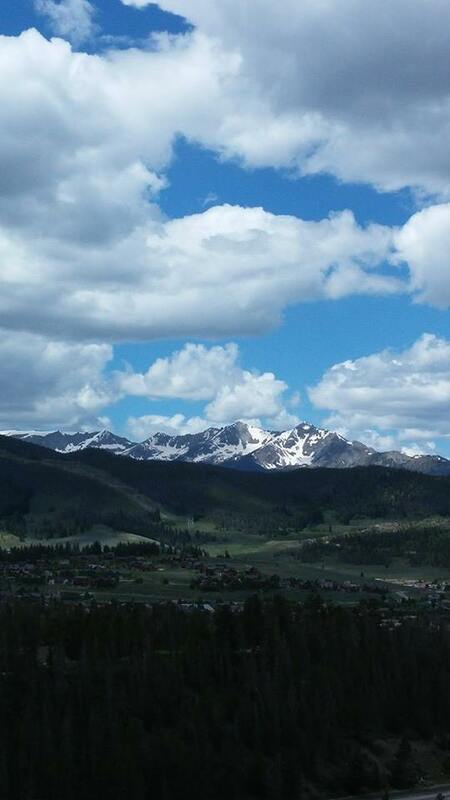 But this summer, while in our condo in Silverthorne, my husband and I were blessed beyond words by the simple action of cooling off the condo with open windows and doors. I have lived in Colorado my whole life. Yes, friends I am a native. And like all natives, and transplants, I love the mountains. Keith and I have traveled many places in this old world, but when it comes to our “favorite” get away – it is in our Colorado Rockies. That is why we own several weeks in a Silverthorne timeshare. Each year we look forward to getting away, ignoring e-mail and Internet, refusing to check texts and phone messages every other hour, and just relaxing in our little cocoon nestled at the base of Buffalo Mountain. This summer our timeshare week arrived none too soon. Our schedules had been insane the first half of the year, and we looked forward to this vacation perhaps more than we ever had in the past. We packed, drove up to the condo, unpacked, put our feet up, and just breathed in the quiet togetherness as we planned our week for just the two of us. We sat on the couch, holding hands and deciding which one of our favorite restaurants we were heading to for dinner. Keith went to the door and said there must be some mistake because this was definitely our timeshare week. The lady said she and her aunt had driven from Chicago just to spend time in a place they had heard so much about. “I’m sorry, ma’am, but my wife and I come here every year at this time,” he told her. He invited them into the small place designated as our home for a week, and the four of us began to put pieces together. They sat down at the dining table and Keith called the Home Owners Association to find out what the problem was. I, being a good little Italian wife/mother, concerned myself with food and drink. I offered tea and cookies. They accepted. No matter how old I get, I go back to Papa Carvallo’s kitchen and the mentality of “mangia, mangia!” In Italian, that means “eat, eat!” It sounds like a command. In reality, it is a form of Mediterranean love language, and the cure for most of what may be ailing or disturbing you. Trust me on this, friends. During the small amount of time it took Keith and Nancy, the niece, to figure out what the mix-up was, I talked to Aunt Nancy about their travels, what they did for a living, and what they might like to see while in my beautiful home state. I often reflect on that conversation and truthfully, I don’t think I will ever forget that special time spent with strangers. We were two sets of people who had never met, in the middle of what could have been a catastrophe, sharing stories of our professions, hot tea, and gluten-free cookies. Keith and Niece Nancy got the puzzle pieces reconstructed revealing the picture of the wrong information being given to the weary Chicago travelers. It turned out they were just a few doors down from us and had been given the wrong key. While the confusion was being sorted out, I gave some advice and recommended sightseeing options that might be pleasurable for these strangers called, “Nancy.” The ladies enjoyed the tea, hearing about local offerings, and finding out they were not going to spend the evening in the Holiday Inn. After they left, I told Keith that I hoped we would see them again during our shared time in the mountains. The next night they brought over gluten-free treats and told us all about their adventures of the day. We saw the Nancies twice more that week including a dinner composed of four of the finest offerings from Lake Dillon – fresh rainbow trout – provided by the expert fisherman whose last name I share. To hear the chatter and see the camaraderie among the four of us, a person would think we had been friends (or family) all our lives. The conversations at each encounter with the Nancies proved once again that indeed we are one family. And as I always tell you beloveds, we belong to each other. We are called to care for others, especially in difficult times. And the benefits of responding to that call far outweigh the threats of harm we face each day. Jesus knew this. And he told us this. He also told us we would have our little socks blessed off by loving on others. While we packed up on Friday morning to go separate ways, we shared Facebook info with our new friends, the Nancies, and decided to keep in touch. Every time I see a post on FB from one of the Nancies, I thank God for this world, for those people he puts in our lives, and for the fact that on that particularly warm Colorado evening, Keith and I made a choice to keep our door open. 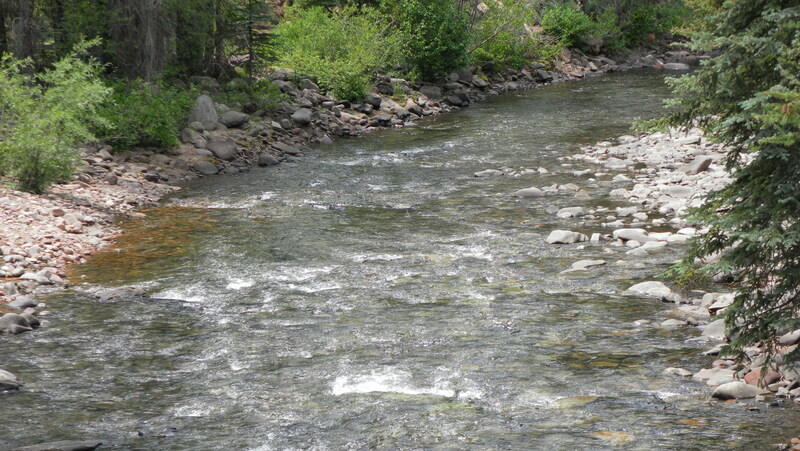 For me, the river is a special place I go with God, to learn, heal, rejoice, question and praise Him. It is there I can more easily remember who I am, and whose I am. The lessons I take away every time I sit in His presence, especially at the water’s edge, are precious to me as are all of you. Up next, what I learned in Las Vegas. I’m visiting from the Christian Women Bloggers Network on Facebook. I love this story! It just shows you never know when you will run into someone who will become a friend. Enjoyed reading your blog. I love these Divine Appointments. I’ve love it when they happen to me. Pretty amazing when you consider the millions of people in this world and how you just “happen” to come across each other. He knows just what we need doesn’t He? Indeed Debbie. Indeed. He has the plan, always. Bless your day. “Dolores, Like the River” the story of wisdom, grace and beauty of aging through the lens of the creator who celebrates us at any age and any stage.